The following forms should be used at all times to ensure accurate, auditable records and fiscal accountability. Reimbursement Request Form: Use this form if you incurred an approved expense on behalf of the HBBA and you need to be reimbursed. Check Request Form: Use this form if you need to request a check for something that has yet to be procured or for an outstanding invoice to be paid directly by the HBBA. 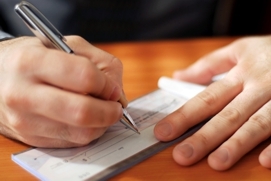 Cash Verification Form: Use this form for processing money, such as during an event.